The Age Of Adeline is the brand new romantic movie about a women who has found the ultimate cure for the 5 signs of ageing. Don’t age. So I suppose the reel question is will this love story make me think that it’s About Time someone made this film? I know this sounds crazy considering the subject matter, but I kind of wish I had more time with The Age Of Adeline. We join Adeline at the tail end of her life so all the crazy stupid things she’s already done we don’t know and we are shown a character who is near saintly in her actions, and one that already knows the price of immortality. Personally, I would have liked to have seen more of the mistakes she made, and the life she lived, as opposed to the one she is living currently. But maybe that’s to the films credit – it shows a women who has lived an extraordinary life after she has lived it. The Age Of Adeline feels like a more sophisticated movie than others in the genre. From its title to the marketing to the story, everything speaks of class and refinement. The Age Of Adeline is so perfectly edited, complied and presented that it’s almost impossible to not be bewitched by it. 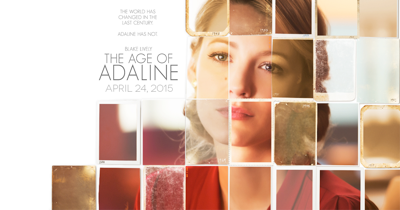 The movie is for the most part carried by Blake Lively (Who I’ve not really seen before). Blake suits the part perfectly, being both detached and modest at all times. She is supported by Michiel Huisman and Ellen Burstyn who are strong in their contrast towards her character. However, it is when Harrison Ford enters that the film hits its strongest section. Ford is a master of the screen and seeing him again, as a man lost in his own life is hypnotic, he is still as beautiful as ever. As a side note, Hugh Ross is the Narrator of the piece and he has a voice that was made for narration. The Age Of Adeline is a well put together neat little love story, that only has the guts to go as far as to suggest that immortality has a price.